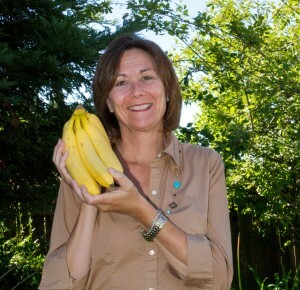 Joanna Jullien and her husband live in Northern California. They have two grown sons. She was born in Massena, New York, and raised in Oakland, California in the Catholic faith. She holds a Bachelor of Arts in Social/Cultural Anthropology from U.C. Berkeley. Her honors thesis on corporate culture was awarded the Kroeber Prize from the Anthropology Department at U.C. 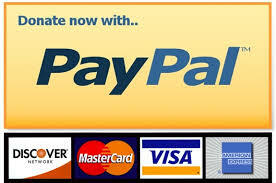 Berkeley, and was supported by a grant from the National Science Foundation (NSF). Since graduating from college she has had a 20-year career as a manager and executive for information systems, manufacturing and environmental management businesses. When Joanna’s youngest son entered middle school (2004), she stopped working outside the home full time to focus on family and school community affairs because the mobile phone and the Internet created a disruption of communication that concerned and fascinated her. So she became a journalist to better understand the cyber-powered environment our children are navigating and strengthen the parent-child relationship in response to the network pressure diverting children away from home. She created a brand of journalism called, Banana Moments, which provides perspectives, insights and lessons learned about the cultural and technology trends impacting children and creating new demands on parents. She produces the Sacramento Cyber Safety Examiner column for Examiner.com, serves as the CyberParenting adviser on The Family Morning Show at The Fish 103.9FM radio station in Sacramento, California, and she established Banana Moments Foundation as a public non-profit dedicated to higher learning for parenting with spiritual authenticity in a cyber-powered world. Joanna’s journalism mission is to strengthen the role of the parent in the network culture which can easily convince children all they need to know they can simply “Google”. She is an activist for youth whose cyber social realms are exposing them to adult issues of bullying, addiction and exploitation with great intensity. She educates to help parents embrace their vital leadership role with objectivity, clarity of purpose, some humor and peace of mind. 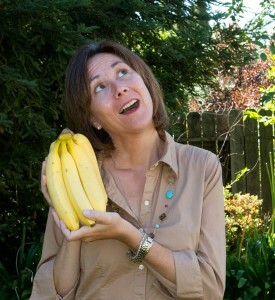 The title “Banana Moments” was inspired by a phone call from Joanna’s oldest son who while he was attending San Diego State, called Joanna while she was surveying bananas at a local supermarket. He had called to let her know he just went skydiving. (!) As she stared at the bananas, trying to decide which ones to take, it was more evident than ever that parenting would always involve a series of curve balls. 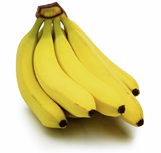 These curve balls, past and future, are all “banana moments” now. Many are lighthearted, some are gut wrenching, and most are challenging and rewarding. Strategies for connecting with other parents, teachers, coaches, store and restaurant managers, video rental clerks – to establish over time a network of adults in our childrens’ lives that reinforces the norms for a safe and healthy journey from childhood into adulthood. Insights and observations from experts about trends with youth, society and parenting. Real life stories and perspectives with hindsights that illustrate lessons learned and insights imperative for being effective leaders for our children leveraging the Internet and mobile communications. Ways to strengthen the parent-child relationship at a time when it is strained by the demands and stresses of our time. 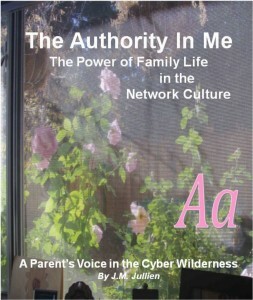 Joanna’s first book, The Authority In Me: The Power of Family Life in the Network Culture – A Parent’s Voice in the Cyber Wilderness, encourages and inspires parents to exercise their inherent authority, which is the model for civil liberty of the American Republic: our God-given intelligent life and free will. A tapestry of personal stories and insights from Joanna’s life journey from childhood to parenting in the age of the Internet, and anecdotes from conversations with others, including experts in law enforcement, education, faith community, and health care, this book confronts the pressure to surrender our power to the voices of the “crowd” powered by cyber-communication, and offers perspective about establishing house rules as an expression of God’s love, not oppressive, which is the security our children require to thrive and build their future. 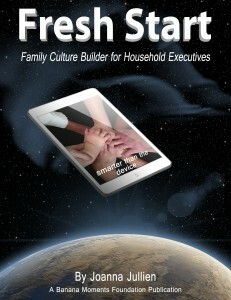 Joanna’s new book helps parents prepare children for the social network. You can download free Kindle reader apps for all mobile devices. Purchase at Amazon. Joanna’s second book, A Google World in the Garden of Eden: Five Family-Safe Strategies for Texting and Social Media, helps parents with the challenge of governing the home in the social network. It is uncharted territory and the parenting strategies of previous generations are not sufficient. By creating a family culture that respects the individual, children can learn how to be responsible users of texting and social media. This book addresses the fundamental ways in which parents can govern their homes to engage children as learning executives who make good decisions on and off line. To book an engagement please email Joanna at: jullien@surewest.net.